The 900T Pull Type Tandem Axle has a maximum payload of 24,000 lbs (10,886 kg), struck capacity of 739 ft³ (20.9 m³) or 849 ft³ (24.0 m³) with tub extension, and requires 130 horse power (97 kW). 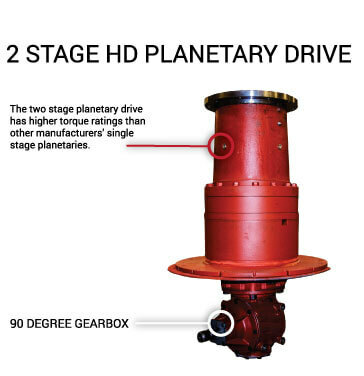 Unlike most other vertical mixers that use smaller single stage planetary drives, Supreme uses the heaviest two-stage planetary drive available. 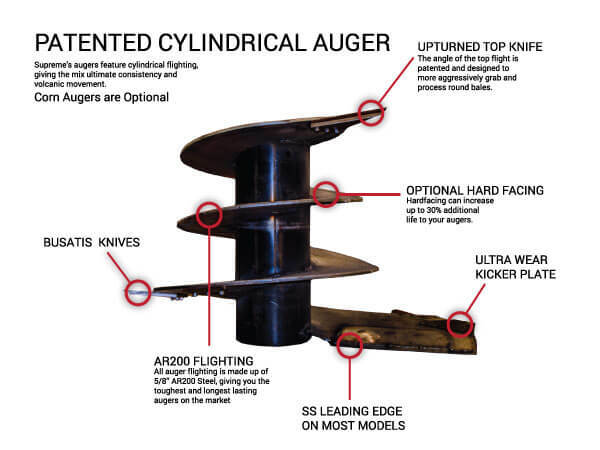 Combined with a heavy duty gearbox, this robust system rotates the auger through the toughest of materials. This simple design features few moving parts with no chains, sprockets or countershafts to worry about. Each Supreme pull type is built to order with a large variety of options available, ensuring each customer gets a unit that is designed to meet their specific needs. 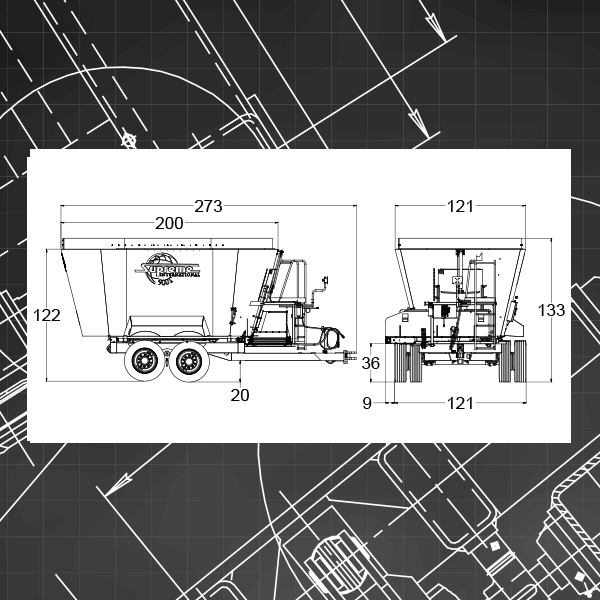 The 900T is also available as a truck mount and a stationary mixer.